What Information is Required for a China Freight Quote? 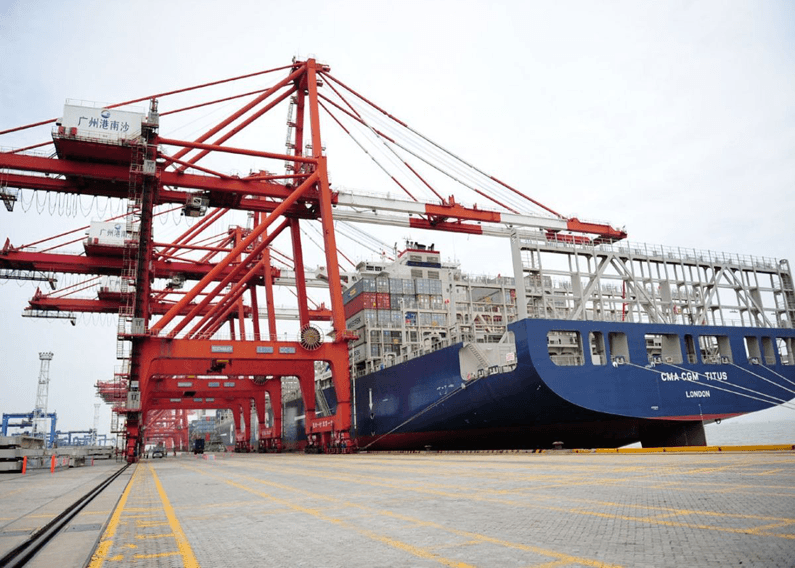 As a China shipping company, we are both local and global. We provide many freight quotes totally free on a daily basis for importers all over the world. We understand getting an accurate and quick quotation is one of the most important step when importing from China. By providing your cargo details with logistics needs, and submit the quote form on our contact page, we can get back to you with freight charges you needed very soon. But actually some queries we received everyday were not enough for a quick reply from us, and then we had to request more information from you. Obviously, this cost you unnecessary time. Here this post will show you what information you need to provide to a freight forwarding company for accurate quotes. Let’s combine with our contact page for an example. Please note: Not only us, but also other freight forwarders in China and worldwide, DO require the information below for a quotation. Our quote form is only an easy reference. The keypoint is you have to cover the necessary details. 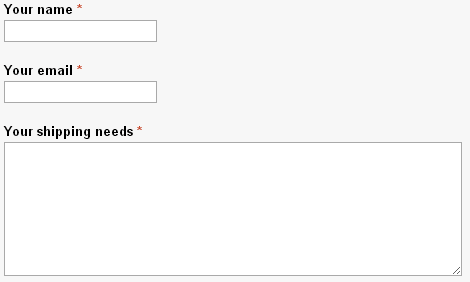 Our quote form has two section. Section 1 is mandatory, while section 2 is optional. 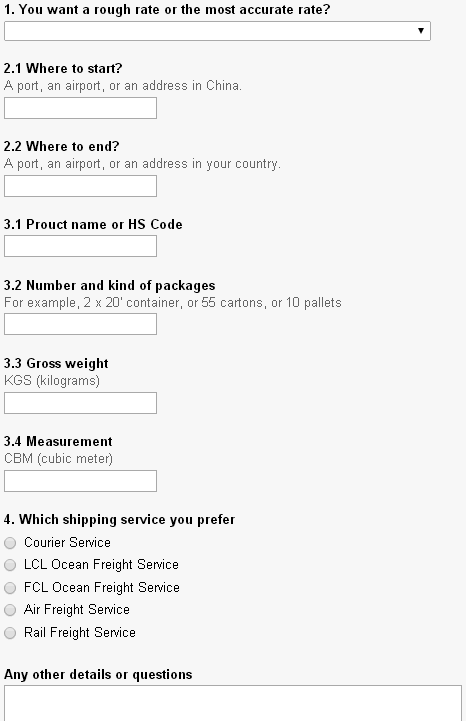 You can input information as much as possible into “Your shipping needs”. But in fact, most information in this column we received from importers are not enough for a quote, since some keypoint missing. In order to save your time, we strongly suggest you should fill up section 2. 1. You want a rough rate or the most accurate rate? 1.1 Rough rate means you only need an rough idea. Maybe you just get products quote from a Chinese supplier, and you need international shipping rates to calculate the landed cost. In this case, we can give you a price very quick. And this price will be relatively higher than you can really get when the shipment is ready for delivery. 1.2 Accurate rate means your cargo is almost ready to ship. Shipping cost change on a week basis. We’ll check the up-date price, and we need to be sure there are still spaces from the carriers in that schedule. In this case, you can expect the exact rate within one business day. 2. 1 Where to start? It depends on which incoterm you selected. We suggest FOB, which means your supplier will transport your goods to the port or airport. We’ll take it from there. For example, FOB Shanghai Port or FOB Shanghai Airport. We don’t suggest EXW. Because most suppliers in China have their own resources of delivery from the manufacturer to the nearer port or airport, with extreme cheap prices. So selecting FOB will be definitely beneficial. However, we can still pickup for you if you insist on EXW. clearance and inland transportation to your facility. To door is popular in developed countries, such as USA, Canada, Australia, New Zealand and Europe. We need to contact our freight partner in your country to determine your local charges. Our reply with a quote might delay, but no longer than 2 business days in most cases. 4. Which shipping service you prefer? For example. If one shipment with 150kg, it can be shipped by courier, by air, or by lcl ocean. If not specified, we’ll choose the most cost-effective one for you. To door quote is a time consuming work for us, especially for those inquiry lack of many key information. We’d love to provide one-stop international shipping solutions, so please do us a favor, providing as details as possible. Otherwise, you may lose your valuable time. We strongly suggest email us directly with the Proforma Invoice attached, when you want your cargo delivery to your doorstep. Quick means no longer than 1 business day for Port-to-Port and Airport-to-Airport request, once you submitted our quote form following our instructions above. our quote at the same day. Please allow us a little longer for Door-to-Door request, which is 2 business days. and the frequency of the schedule is once per week at most cases. That’s all. If everything goes well, we can move forward and work together. You may know that there is no lowest price in China, only the lower and lower prices. This also applies to China logistics and transportation industry. We can’t guarantee we are the cheapest. We are just cheaper. This process cost you one or two minutes, but it may save you shipping charges more or less. Even if you have selected CIF, you can always come here for a easy reference. After you submit our form with enough information, you could expect a shipping quote from us within 1 day. Don’t forget to check your spam box if you haven’t received our mail after 2 days. You can always shoot us an email directly. Based on our quality and service, our profit is very low. But we still welcome you get back to us with a target price may be from other sources. We will try to beat it or let you know if it’s reasonable.